You may have received an email from the FDA with the announcement of the draft guide. This guide is designed to make sure your labels and data are in compliance with the UDI labeling for medical devices and packaging. If you are involved with UDI labeling at your company, you will want to download our ebook ID Technology Guide Labeling and Marking Compliance. 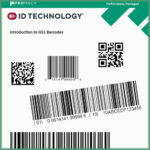 ID Technology has put together this ebook to help explain and simplify UDI labeling and data structures. ID Technology can help you reach UDI labeling compliance and provide solutions for other labeling challenges in manufacturing and packaging of medical device products. Read more on Labeling News here or contact us today – 888-438-3242 Option#3 or you can contact David Holliday directly at dholliday@idtechnology.com. We’ll get you in touch with one of our ID Technology specialists in your area.